In her recent book, Whispers of Hope, Beth Moore translated the Tower of Babel story into a modern day parable. She likened the Babel builders to the many people who have attempted to climb Mount Everest. I wrote furiously up the margin of the page, around the top, over the title and finally pulled out my tattered journal to keep going. Comparing myself to a thrill-seeking, glory-hound is not exactly complimentary, but the similarities are there nonetheless. And with focused abandon I risked relationships, physical injury and even my life to that end. The difference between Beth’s Everest example and my own is that I could never reach the pinnacle, there was no definition of success. I could never become my own creator. 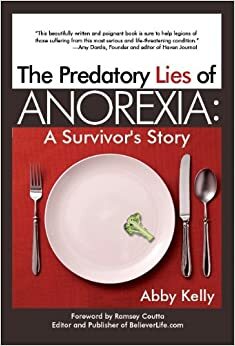 No one ever asked me to help them become anorexic. In fact, no one ever looked at my emaciated body with admiration and asked me to help them create the “ideal body”. Praise God, just like at the Tower of Babel, He came down into my little, broken life and scattered the pieces. He revealed to me the danger of my course, healed me, and like the good Creator that He is, gave me again the “perfect body” He intended for me. Today, I am in the process of building a legacy, of leaving a mark on the world. Almost daily, God sends me people who ask how I overcame anorexia, who helped me to heal and will I pray for them. Today, my actions center around loving God with all my heart and learning to love others as He loves me. His glory, His name is the mark I want to leave on the world.